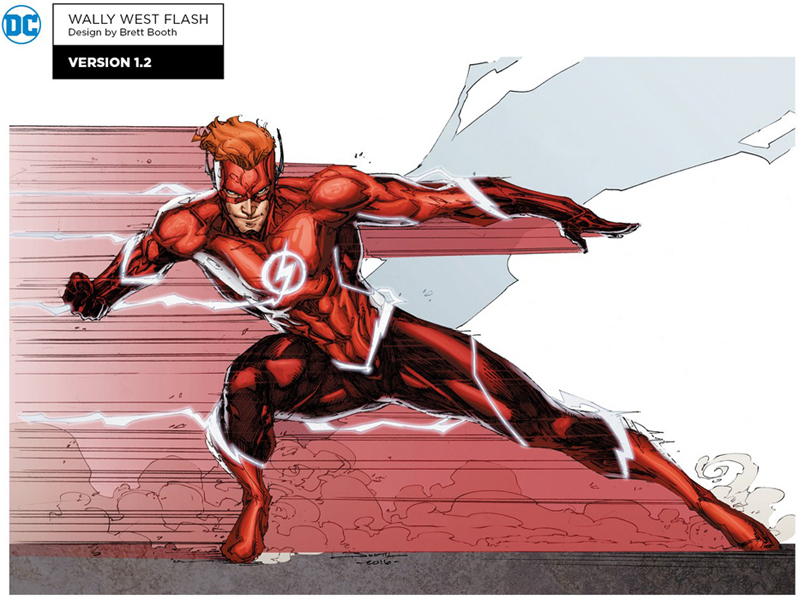 What do you think of Wally West's Rebirth Flash look? 2: Surprisingly, this one isn't incredibly overdesigned as most of the new costumes are. However, the red on red just looks boring. You need more contrast. If you replaced the body with yellow, I think this would look quite nice. 2. I'm with Benton here. I was actually excited about the return of the "Original" Wally West, at least until I saw the Costume. The Red on Red is bland, and really needs something else to bring out the spark that it has the potential for. Unfortunately, the White just doesn't cut it here. I like this one well enough. It's simple and sleek like any good Flash costume should be. My only real complaint is the orange hair and the red suit are too similar. The design would pop more if Wally's hair was white to match the white lightning details. Or keep the hair orange and change the lighter red to white and change the white lightning details to orange. I think it's a good attempt at doing something Flash artists have struggled with for the last few decades... having Wally be unique standing next to Barry, but still having him be the Flash. And it works... sort of. Admittedly I agree with C6 about the hair in particular... I get that it's a nod to the Kid Flash design and it's an easy way to distinguish Wally from Barry, but in practice it just doesn't look good. Kid Flash's design worked because of the yellow costume, so doing that with the red just isn't as compelling. I did a quick photoshop job for fun and... Yeah, it does look significantly better. While this does look much better than the first image, I still feel as though something is missing. Maybe I'm still stuck on the fact that there is no Yellow in the design. Jay, Barry, Wally (Kid Flash), Reverse Flash, Zoom, all had Red and Yellow implemented in their Costumes. And no Yellow = no Flash. I agree, it really needs some yellow in there. It's not bad, but it feels a little too monochromatic without the yellow, and the red hair is too close to the red suit. Add me to the Dislike group. There's potential here. I like the silver, and the red base is fine. Like other's have pointed out the darker red is too close to the main red though. I think black would work better - I've seen an unused design by Booth for Wally that used black and that looked kinda cool. A agree with the criticism of the open hair, and Tomato's version with the full mask looks nicer. Too much red, not enough contrast, and I'm not the biggest fan of the Flash design in general.